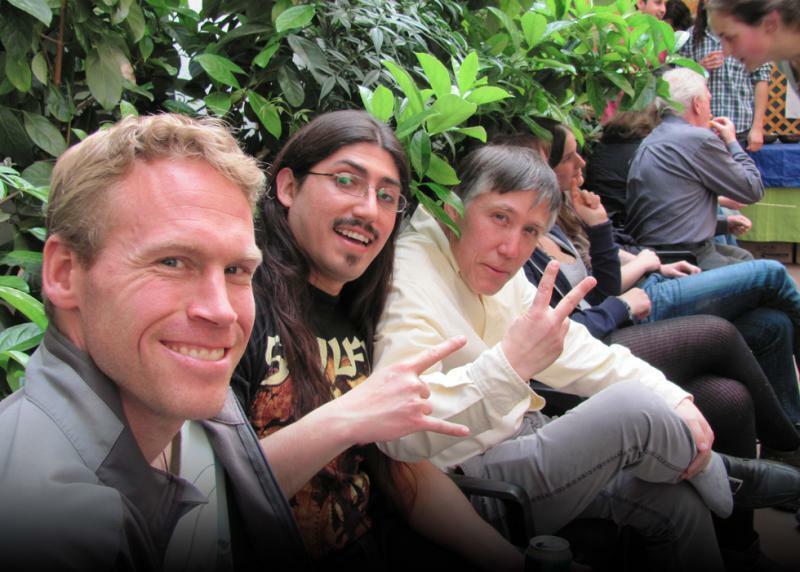 "It's an absolutely charming environment in an old home with a friendly and helpful atmosphere. 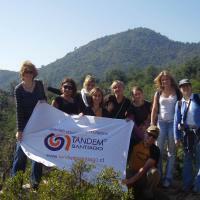 I att..."
General spanish group course with 4 lessons per day from monday to friday for all levels. 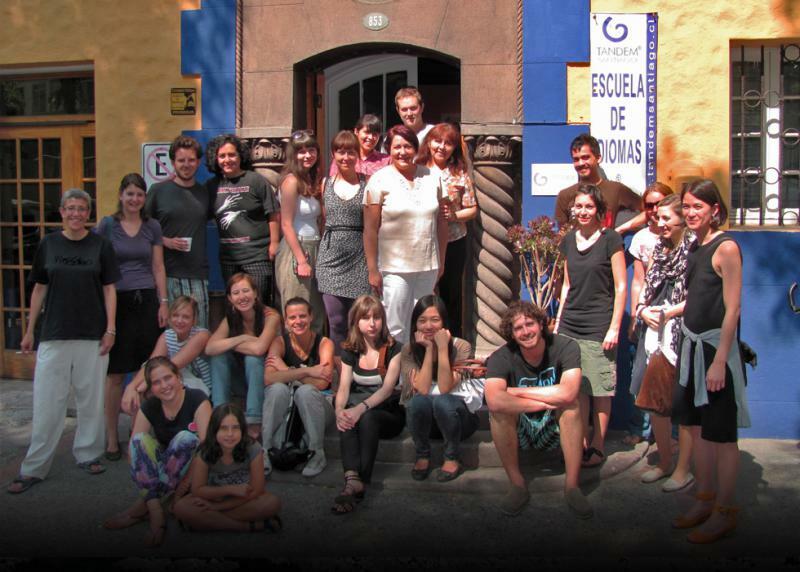 10 One on one General Spanish classes per weed taught for all levels, which can be taken as standing alone or as complementary to our Intensive General spanish group course. no second registration fee in this case. Contents: The health - Infections - Health institutions - The Hospital - Internal medicine - Surgery - Traumatology - Gerontology - First Aid. 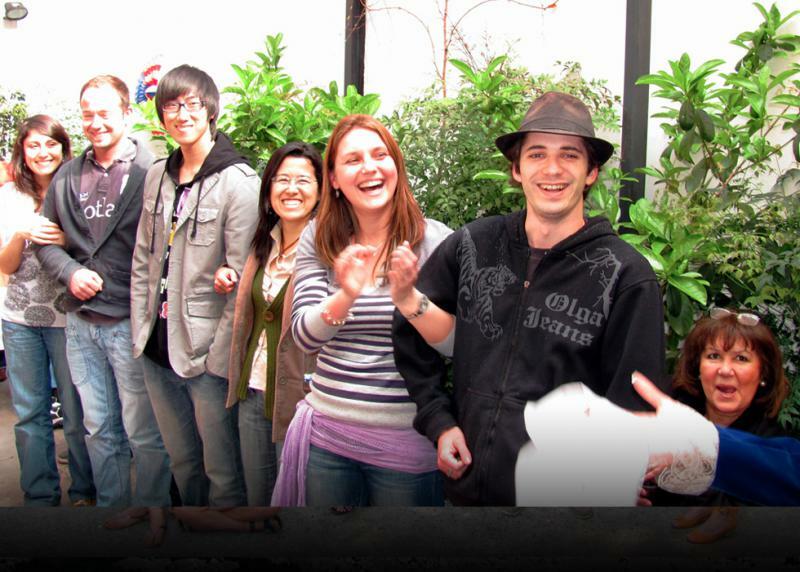 10 One on one General Spanish classes taught for students with intermediate level, which can be taken as standing alone or as complementary to our Intensive General spanish group course. No registration fee in this second case. The schedule is between 14:30 to 19:00. Contents: Justice - Constitución - Juridical Sistem - Process Law, Penal Law - Civil and commercial Law - International Law and Ambiental Law. 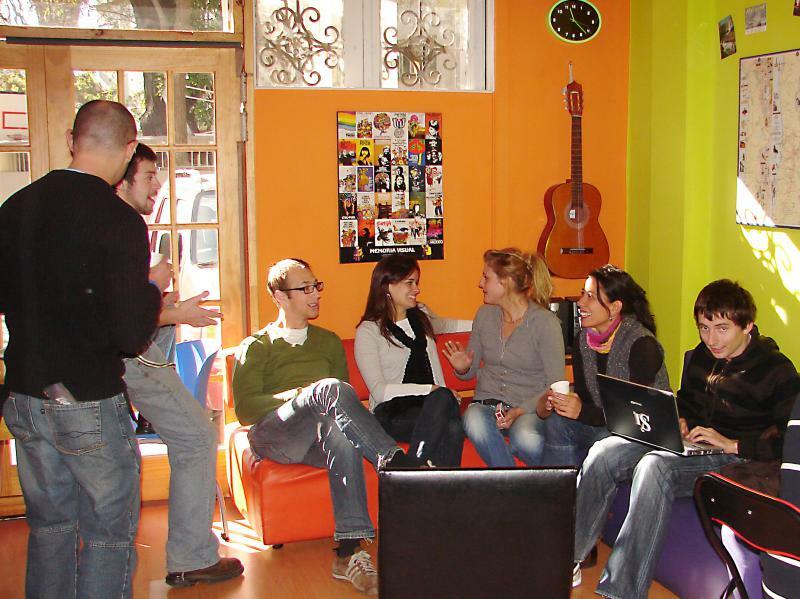 10 One on one General Spanish classes taught for students with intermediate level, which can be taken as standing alone or as complementary to our Intensive General spanish group course. No registration fee in this second case. The schedule is between 14:30 to 19:00. 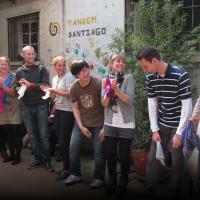 DELE preparation courses and DELE diplomas at Tandem Santiago. One on one General Spanish class taught for students of any level, which can be taken as standing alone or as complementary to our Intensive General spanish group course. No registration fee in this second case. The schedule is between 14:30 to 19:00. Along with the ongoing process of internationalization in commerce, exams and Certificates that are standardized and have a worldwide recognition for proving certain language and professional competences are becoming more and more important. 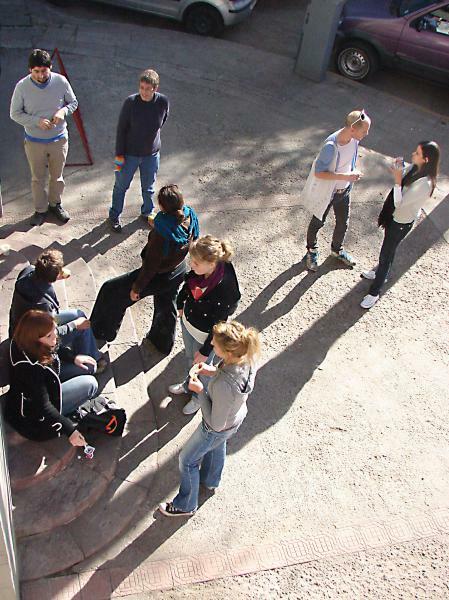 Many language students aim to receive an internationally recognized Certificate at the end of their Spanish studies. With the DELE examination, all competences are checked, not only grammar and writing, also conversational skills and auditive comprehension. The Certificates imposes international standards and enable companies to have a correct estimation of the Spanish language knowledge of a candidate. The certificates on the other hand, are an important qualification proof for the students. Here you find important information and a short overview regarding the from the Spanish Cervantes Institute controlled Diploma in Spanish as a foreign language -DELE (Diploma Español como Lengua Extranjera). 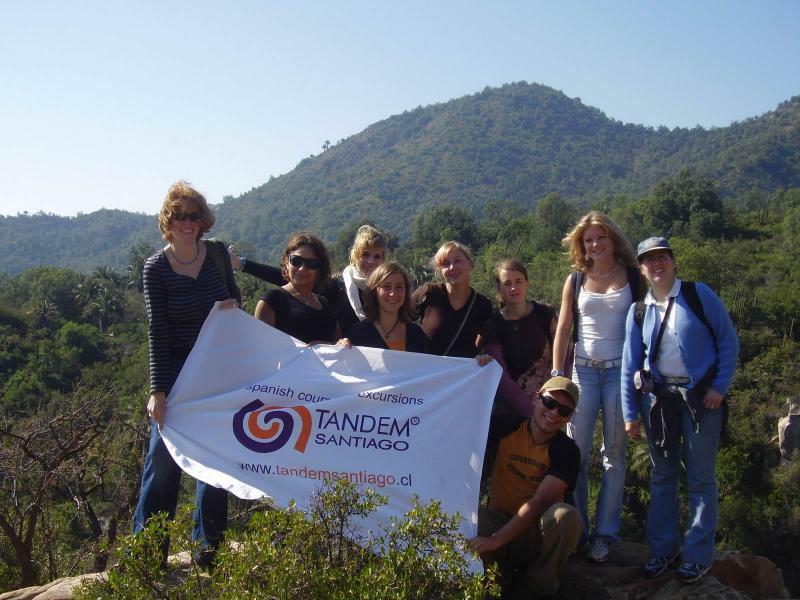 Since 2008 Tandem Santiago has been recognized by the Cervantes Institute as the Official Examination Center in Chile. 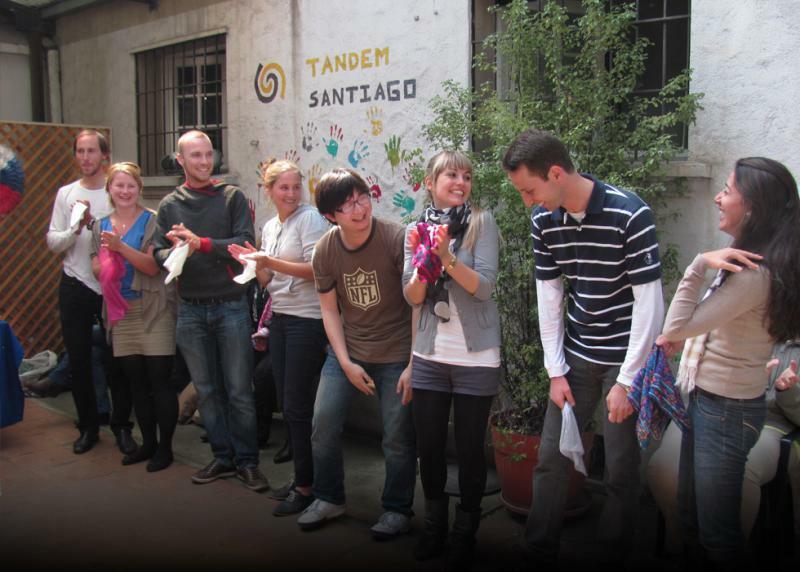 This examination can be taken at Tandem Santiago in april, may, july, august and november, or in any Cervantes Institute recognized Examination Center. Conditions: Only available to 2 students booking together. Comfortable new apartment with seperated dorm in 10th floor of modern safe 20 floor building in Bellavista neighbourhood just in front of the Museum of Fine Arts (Bellas Artes). Complete equipped kitchen with gasoven and microwave. Building has 24 hour working reception, gym, and outside swimming pool a small internet room and selfservice laundry. single room in a shared apartment with a chilean housekeaper and in certain cases with other international students, kitchen use, linen and towels weekly changed. Fotos are examples for one shared apartment of several alternatives we offer. More details after enrolement. Single room in a host family includes linen and towel changed every week, breakfast, Fotos are from a rooms in different host family as example. After enrolment we can offer you several alternatives for to choose. doubleroom in a host family includes linen and towel changed every week, breakfast, Fotos are from a rooms in different host family as example. After enrolment we can offer you several alternatives for to choose. Single room in a host family includes linen and towel changed every week, halfboard. Fotos are from rooms in different host family as example. After enrolment we can offer you several alternatives for to choose. Double room in a host family includes linen and towel changed every week, halfboard. Fotos are from rooms in different host family as example. After enrolment we can offer you several alternatives for to choose. Distance from the airport: 25 km. - Bookings are not transferable. - No course changes will be allowed to make up for refunds in the case of course cancellations. - The deposit is non-refundable. - No tuition refunds are given for late arrivals, early departures or absences, for whatever reason, from classes during any course. - The remaining balance will be refunded to the student upon receipt of an original VISA refusal letter. How do I book a language course / accommodation? Booking with us is really easy. You just have to go to the link of the school you are interested in. Where it says COURSE and then START, you select the dates you wish to study there. Afterwards, you select how many weeks you want to study. You then select the course you wish to attend. You can add optional services, such as accommodation and airport transfer. If you would like to add these additional services, you need to go further down the page where you will find the section relating to ACCOMMODATION. You select the option of the type of accommodation you want (You do not have to select the dates here if they are the same as the course - they are automatically selected). After the Accommodation, you have another option, that of TRANSFER. This option allows you to book a transport that will pick you up at the airport and will take you to your residence or host family. Once you have selected all these options, on your right hand side, you are going to see a summary of your reservation with all the information about the course and the accommodation, together with their prices. Also, the deposit you have to pay will be displayed there. You just have to press the Orange Button that says BOOK NOW and this will take you to another page to enter your personal details. When you are booking you only have to pay the little deposit. After that, we will contact the school and request your booking. When your booking is confirmed by the school or host, they will hold your place until the your booking balance is paid in full. The same applies for the accommodation. You can pay either with credit card, paypal account or bank transfer; as you prefer. This deposit you pay now will be discounted from the total price. The rest of the money will not have to be paid until 15 days before your course starts. In any case, you will be receiving emails about your deposit payments; and also, reminders about the rest of the money when it needs to be paid. What are the benefits of booking through LanguageBookings.com? Best price guaranteed: 100% guaranteed that you pay the lowest price. We offer you the lowest possible course rates - you never pay more than if you booked directly with the school itself or anywhere else. Besides, our service is free. We do not charge for any booking fees. Customer Support: If you ever need assistance, you will always be able to call our customer support whether you are a host, a school, a guest or a student. Before, during and after your course, we are here for you. 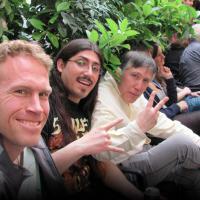 You can easily contact our experienced and friendly consultants. We are always a click away from e-mail, phone call, skype or even live chat! Your booking 100% confirmed: It is very unlikely that something goes wrong with your booking once confirmed by the school. In fact we are so confident, that if you do not achieve a place for a course at the selected school, we will credit your account with your full deposit and find another possible alternative for you. 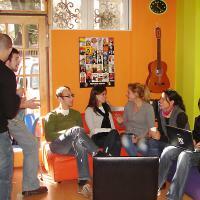 The start dates of intensive and standard language courses are generally flexible. If you have some basic knowledge of the language, you will be able to start any Monday of the year at almost any school. If you are a total beginner, courses usually start once or twice a month. You should be aware that language schools have more students in July and August than during any other time of year, which means that course fees, housing prices and the overall cost of living are often more expensive during this time. If you would like to book a course in July or August, you should do so very early: schools have limited spots and might be booked well in advance for the high season. Your chances to get your preferred housing type are also greater if you book your course early. 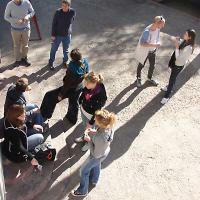 Housing options near the school are especially difficult to secure in the summer and tend to fill up quickly. 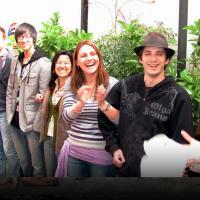 Language courses during the low season (September to June) are not only less expensive, but also have smaller classes. If you are able to wait to take your courses during this time you will pay less for your courses, and you may even receive better housing, since demand is much lower. Please, review this information within the language course details on the language school page. How do I know if a place is available? You can find the availability status underneath each price on the school / host page. Nevertheless, if you submit a reservation request and your place is not available, the deposit paid will be 100% refunded. 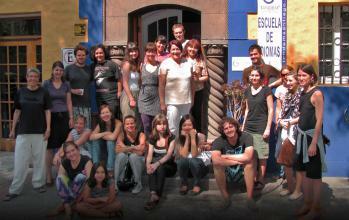 Most recent booking for this school was from Brazil and saved €28.83!